Image caption Campaigners posted a Facebook message on Thursday to say Mr Halawa had been freed. 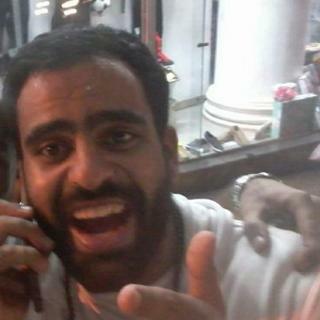 Ibrahim Halawa, an Irishman who has spent more than four years in prison in Egypt, has been freed. Mr Halawa, who is from Dublin, was arrested during a siege at the Al-Fath mosque in Cairo in 2013. He was accused along with 500 others, including three of his three sisters, of inciting violence, riot and sabotage. The 21-year-old was acquitted of all charges more than a month ago, but his release was delayed. That delay prompted a former Irish justice minister to call for Egypt's ambassador to Ireland to be expelled. Taoiseach (Irish Prime Minister) Leo Varadkar said Mr Halawa was receiving "full consular assistance". "We're helping him to get back to Ireland where he will be reunited with his family," said Mr Varadkar. Campaigners posted a Facebook message on Thursday to say Mr Halawa had been freed. Irish President Michael D Higgins was among a number of high-profile figures to welcome the news, wishing Mr Halawa well on his journey home. "The release of Ibrahim Halawa will come as a great relief to his family," he said. Irish Foreign Minister Simon Coveney tweeted: "Delighted 2 confirm Ibrahim Halawa has been released, being supported by family + Embassy. Some formalities still required before flying home". Sinn Féin MEP Lynn Boylan, who attended the Irishman's trial, tweeted: "Great news coming out of Cairo." She said Mr Halawa had been subjected to four years of "illegal imprisonment" and said the focus now was on "getting him home". Mr Halawa was 17 when he was detained by Egyptian security forces during a siege at the Cairo's Al-Fath mosque on 17 August 2013. Three of his older sisters were also arrested and imprisoned, but they were allowed to return home to Ireland within three months. The Halawas were acquitted of all charges against them on 18 September.